If you’re a teenager in America, a smartphone is most likely a major part of your daily life. In fact, a new study out of the Pew Research Center reveals a whopping 95 percent of kids between the ages of 13 and 17 have access to a smartphone in 2018. A staggering statistic to say the least, especially since that number has grown 22 percent since 2015. 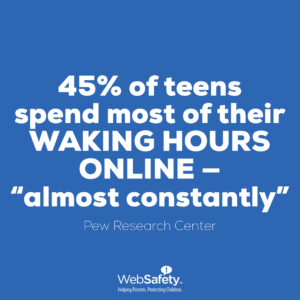 But perhaps the greatest concern – nearly half of these teens are spending most of their waking hours online. Forty-five percent of the teens surveyed reported using the internet “almost constantly.” That number has doubled in just three years. Another 44 percent said they hopped online several times a day, while just 11 percent reported using the internet once daily or less. That means 9 out of every 10 American teens are using the internet – including social media, gaming, text messaging and video chats – multiple times a day. This information is troubling, especially when paired with the findings of another study that came out earlier this year. Researchers at the University of Michigan revealed that the more time a teen spends in front of a screen, the less happy they are likely to be. Additionally, the researchers found that excessive screen time takes a significant toll on the psychological well-being of adolescents. So what are kids doing on the internet, exactly? Teens in the Pew study crowned YouTube as the most-utilized platform – 85 percent said they used the video sharing platform – with Instagram coming in second (72 percent) and Snapchat (69 percent) rounding out the top three. This shows a shift in media usage from three years ago, when Facebook reigned supreme. In 2015, 71 percent of teens reported using the social media platform, but that number has dropped to 51 percent. The study also set out to learn more about how teens themselves feel about social media as a whole. 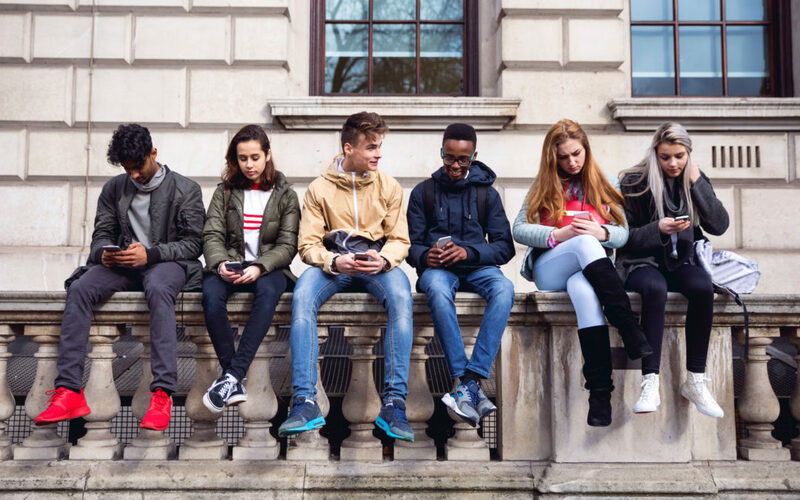 “One of the questions we wanted to examine was how teens evaluate the impact of social media on their lives,” Monica Anderson, lead author of the study, told the Washington Post. So they asked them, and the general consensus was that they didn’t really know. About half of the teens surveyed said social media has a neither positive nor negative effect on kids their age. Those who feel social media effects them in a positive way – about 31 percent – said it helped them feel more connected to others. “I think social media has a positive effect because it lets you talk to family members far away,” a 14-year-old participant shared. The teenagers also cited easy access to information and news, entertainment and self-expression as other benefits to social media. “It has given many kids my age an outlet to express their opinions and emotions, and connect with people who feel the same way,” one 15-year-old girl said. In contrast, those who felt social media negatively affected them (24 percent) cited bullying and rumors as the most problematic factors. “People can say whatever they want with anonymity and I think that has a negative impact,” said one 15-year-old boy. “Teens are killing people all because of the things they see on social media or because of the things that happened on social media,” a 14-year-old participant said. Other concerns: less meaningful human interactions and a false picture of other people’s lives – which leads to unhealthy comparison. “It makes it harder for people to socialize in real life, because they become accustomed to not interacting with people in person,” one 15-year-old girl said. These new statistics reaffirm the importance of parental involvement when it comes to teens, smartphone usage and social media. WebSafety was developed as a tool to help parents teach healthy tech habits, and to guide their children through the dangers of the digital world. To keep a pulse on the social changes and latest research in the digital parenting world, join the newest group, Digital Parents by WebSafety on Facebook.